Retail/office spaces for lease on iconic Hip Strip. Currently under construction, this two-unit building is located on the corner of Higgins and 6th Street in the heart of Missoula's Hip Strip. When complete the building will include a retail/office space of approximately 1450 sq ft, plus shared bathrooms and bike storage. 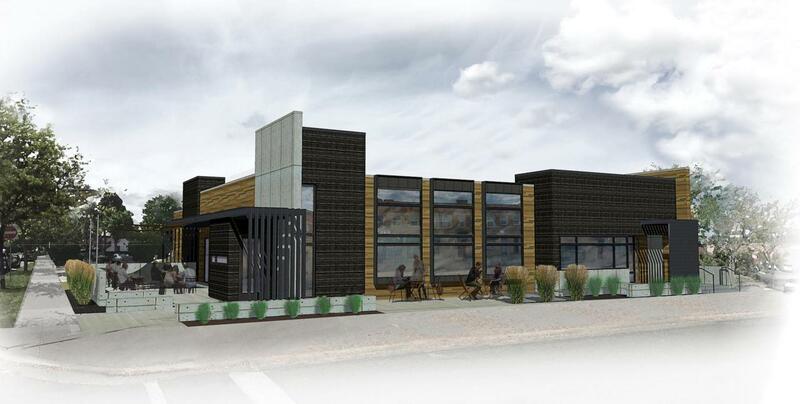 The building's modern, industrial vibe will complement the Hip Strip while creating a unique sense of place that is sure to become a Missoula landmark in short order. Off street parking, a rare amenity in the area is included on the site. Construction is expected to be completed in mid-2019, and may be customized to a Tenant's needs during the early phases.For more information or for your personal showing, please contact Julie Gardner at (406) 532-9233, or your Real Estate Professional.